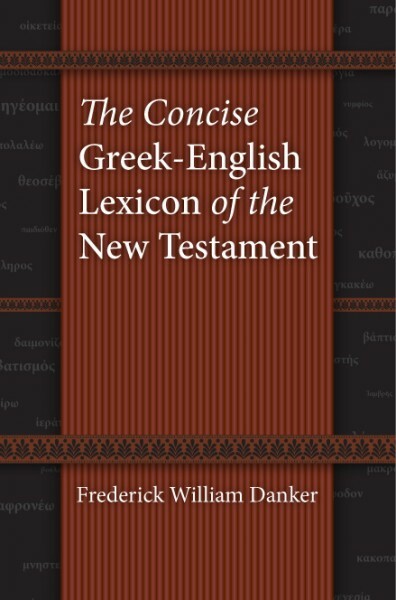 The Concise Greek English Lexicon of the New Testament (also called the Concise Lexicon or CL for short) contains entries for every word occurring in the body of the NA-27 text of the New Testament as well as additional vocabulary from selected variants. Contrary to popular belief, this work is not an abridgement of Danker's Greek-English Lexicon of the New Testament and Other Early Christian Literature (BDAG). It is an original work, drawing information from BDAG, Gingrich's Shorter Lexicon of the Greek New Testament, and numerous other works. Following the methodology that he used in BDAG, Danker attempts to define words rather than just providing glosses or suggested translations. The resulting definitions often defy the label of "concise," but are succinct and readable just the same. This coupling of technical accuracy with briefness and accessibility make this an ideal reference for both beginning students and experienced scholars. This electronic edition includes over 1,300 hyperlinks between entries and over 30,000 references to biblical passages, allowing the user to easily navigate to other articles or to look up passages referred to in the entries. Users of Bible Reader Five can also access the "browse dictionary" feature and the "look up" option, making an already great resource even better.